Q. What is CAGRfunds? Is it a Mutual Fund? CAGRfunds is a private limited company registered under the name Virtue Online Services Pvt. Ltd. (VOSPL). We are not a mutual fund. We are a bunch of financial planning enthusiasts who help you invest in mutual funds. We identify your profile, establish the goals for which you want to invest and recommend you the suitable funds you should be investing in. But that is not all. We help you with other services also. We are therefore the friend you can depend on for all your money related matters. Q. How does CAGRfunds charge its customers zero? Q. Does CAGRfunds help with stock investing? We currently do not provide individual stock recommendations. We however do facilitate opening of a trading and Demat account if you so wish to engage in stock investing. .
Q. What do I need to register for? To start investing in mutual funds, you need to have an Investment Services Account. This is not a brokerage or a Demat account, neither do you need one. Q. Do I need any documents for registration? Q. 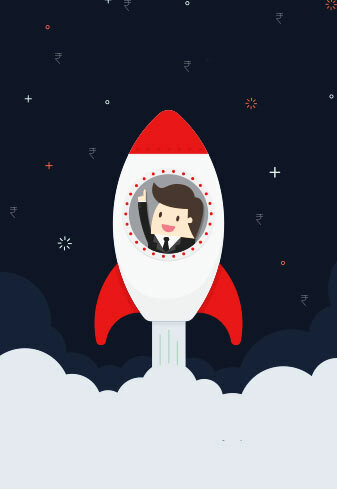 When can I start investing after registration? Q. Can I provide my bank account number for my spouse’s CAGRfunds account? Q. Are there any charges for linking my bank account for automated investments? Q. How do you ensure that my money is secure? On making an investment, your money directly moves from your bank account to the fund account. Since it does not come to the CAGRfunds bank account at all, there is no security risk on your money. Additionally, our platform is certified as secured by SSL and McAfee. Also, all your account details are stored in an encrypted format such that no one has access to the same. Q. How safe is your information with CAGRfunds? We have sufficient security measures to protect against unauthorized access or alteration to any of your information. All stored information is appropriately encrypted (including your password). Q. Can you sell my investments without my knowledge? Q. What happens to my investments if CAGRfunds shut down? Well, we really hope that never happens! But in an event where you are unable to trace us, all you need is your folio number to track your investments. You can visit the individual websites of the AMCs, enter your folio number and track your investments. Alternatively, you can visit any of the AMC branches to track or redeem your investments. Q. Can I invest in funds other than the ones you’ve shortlisted / suggested? Yes, you can. After you login, you can go to the “Invest” section and choose the funds you wish to invest in. Q. What modes can I use for purchasing my investments from CAGRfunds? One Time Mandate – While registration itself, we get your One Time Mandate registered. This enables you to invest in SIPs (Systematic Investment Plans) and lump-sum investments up to the mandate amount. Transacting through the mandate option saves you time as you do not need to go through the multiple steps of net banking. Q. How much can I invest? Is there a minimum Investment size? You can get started with as low as Rs 500 for a SIP and Rs. 5000 for a one time lump-sum investment. Q. When are the mutual funds units allotted to me? If the purchase is made online on our platform 2 pm then units will be allotted on the next day. Q. Can I transact on weekends? Q. Are there any charges/penalty for a failed transaction? CAGRfunds does not charge any penalty for failed transactions, however your bank may charge you certain amount of money. For bounced SIPs, the banks usually charge Rs. 500- 600 per SIP failure. Q. 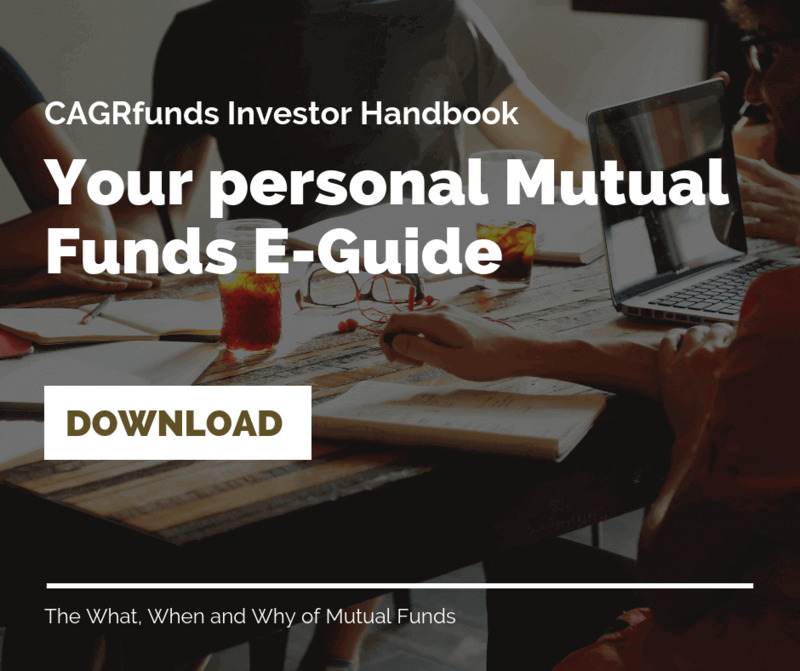 Can I redeem my mutual fund investments without going through CAGRfunds? Yes, you can redeem directly from the AMC by providing them with your folio number. Q. Is there a minimum or lock-in period for my investments? Lock in period varies from scheme to scheme. Most of the equity schemes do not have a lock in period (Except tax saving schemes which have a 3 year lock in period). You can reach out to us on contact@cagrfunds.com if you wish to know about a particular scheme. Q. What are the consequences if I am unable to pay my SIP Installment money on time? If you are unable to make payment for your SIP in a particular month, please email us on contact@cagrfunds.com a week in advance. We can skip your SIP for the months that you request for. However, this service is available only for SIPs that are started online on our platform. Q. If I opt for investing every month, do I need to transfer money every month from my bank account?